Being and Doing – Are They at Odds? A lot of people get the impression that being means sitting quietly with their eyes shut… What if you could “Be” in action? Let’s explore being versus doing, and get some clarity on how we can use these to have a better, happier life! Sometimes as time goes on, things get routine, even boring in our relationships. we may be living together, but take each other for granted, or even lead separate lives. Has your life or relationship gotten predictable? Let’s explore tools to help you create the sparks of possibilities that bring joy, fun, and excitement to your life. Julie Tuton has an East Coast edge, softened by over 29 years of living in the San Francisco Bay Area. Julie is the author of Beauty in the Breakup, and has been an Access Consciousness Facilitator for over a decade. She has a razor sharp awareness that allows her to cut through to the core of your issues with the kindness and caring. Many of us have learned to override our awareness in favor of what other people think. Whether you call it following your intuition, your knowing, your awareness… Life works better when we follow it! Yet sometimes times we don’t. Sometimes, despite your intuitive hit, we say “yes,” enter the agreement, trust that slightly sketchy person, or do the thing that feels “off,“. Then when it doesn’t work out, we find ourselves saying “I knew better.” Why didn’t I follow my awareness? Let’s explore ways to follow our awareness, let go of the reasons we don’t follow it, and allow ourselves to tap into our awareness even more. How can lightness and playfulness create a greater future? What if you could expand beyond the boxes of the way you’re “supposed to” do things? Kathy’s show on Receiving has been moved to March 14th. Find Kathy’s upcoming class: Energetic Exercises for Receiving at www.meetKathyWilliams.com/upcoming. Strong & Wild…How is a woman like a dandelion? A Dandelion is one of the hardiest plants that grows everywhere whether you want it to or not. Its seeds are easily blown everywhere by the wind. Every part of the dandelion can be used and has many healing properties. A woman is strong, resilient and will generously share her energy with the world. In this time of reclaiming our power and our place in society is it also time we acknowledge our true nature? 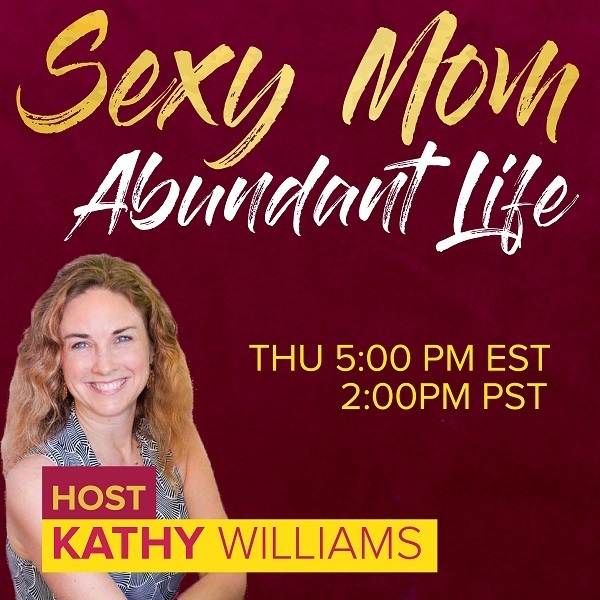 Join Kathy Williams and Sophie Michèle as they discuss being a woman today and acknowledging all of our parts – even the ones we made secret! Curious about the corporate world, Sophie also worked for Rolex Watch USA and The American Funds to help them revamp their workflow processes. Already, she was instilling the seeds of change, asking these companies to consider ways of doing things that were neither traditional nor familiar. Today, Sophie speaks around the world about Leadership, Business and how nothing is really wrong with you. A mom of two teenagers and successfully divorced, she has an abundance of things to talk about to shake things up.